Guest Author: Pierre-Simon Ntiruhungwa (@pierresn) is a French student in ESCP Europe Business School, currently interning in Ifeelgoods in the San Francisco Bay Area. He is the co-founder of the student organization Silicon Students and the summer program Startup Dream Team. Ideas are cheap. They are often stolen and copied easily. Simply having a good startup idea doesn’t guarantee success for entrepreneurs. What matters is the ability to execute that idea and transform it into a real company. This statement is common sense in the startup world and this is why Startup Dream Team, a 9-week summer program created by Silicon Students for young aspiring entrepreneurs, decided to focus on “the team” which many often consider as the most important aspect of a startup. Indeed, building dream teams will be our goal this summer from June 18th to August 12th. So, what is a “dream team?” Some great entrepreneurs, teachers, VCs and startup experts gave their views on the topic. Even if the actual structure depends on the industry, Steve Blank states a good team generally needs “great technology skills (hacking/hardware/science), great hustling skills (to search for a business model, customers, and market), great user facing design (for web and mobile apps), and a long-term vision and product sense.” One person simply can’t have all these skills. Many laud the model even if the definition varies among many. The “Hacker, Hustler, Designer” trio often gets recognition, Jeff Clavier calls it the 3D rule (Development, Distribution, Design) and David Weekly adds an “Operator” to that trio. Sean Parker, who comes up with the same structure as David Weekly, adds that at the end of the day, he assesses a team on its potential to create and execute a vision. Even if we can argue for hours over the definition of a good team, as we have just seen, there are definitely some really efficient existing models. Furthermore, the hardest thing is not defining a good team but rather actually building one. You have to identify your needs and most importantly find the people. Indeed, you have to surround yourself with great people who have complementary skills and can work efficiently with you. Last but not least, as any ambitious company should aim at being around for several years, the team should have people who get along very well and have possibly known one another for a long time. On a daily basis, the students will work at their internship job. Therefore, they will learn a lot about the startup life and Silicon Valley ecosystem. As a way to assess the interns at the end of the program, we will have them create teams based on efficiency and affinity at the end of week 8. They will then work during the last week on ideas pitched by entrepreneurs and VCs and present them in front of a jury on August 12th. 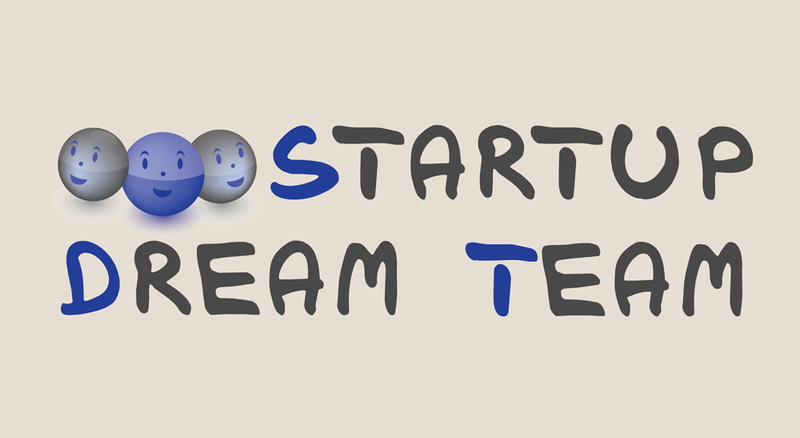 If it seems like a program for you, you can apply on Startup Dream Team website until May 26th 11:59 PST. Startup Dream Team is an attempt to create a perfect environment for team creation while enabling aspiring entrepreneurs to have an amazing Silicon Valley experience. This is Silicon Students answer to the question “How to build dream teams?” But this is a really difficult question with several possible answers. What’s your opinion? Talk is cheap. Action is not. Sounds wonderful. Cannot wait to be a part of this program and to participate. Merci Pierre!